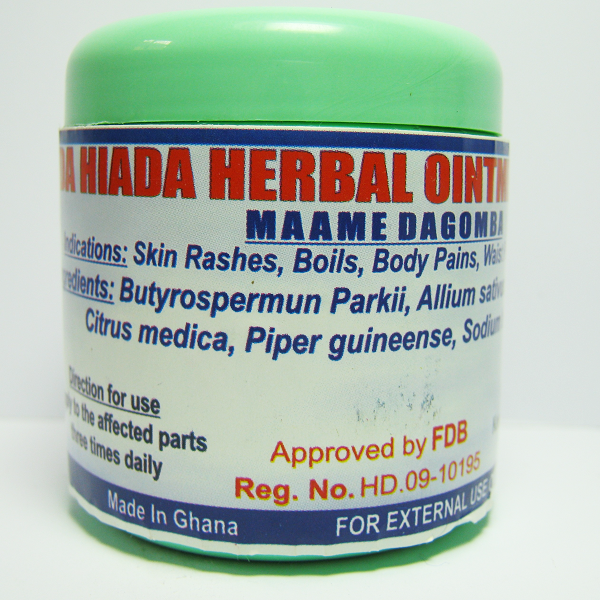 The Hon Member of Parliament for Mpraeso constituency in the Eastern Region, Seth Kwame Acheampong has appealed to the Roads and Highways minister to aid the continuous construction of concrete asphalt roads from Nkawkaw to Atibie within the Kwahu West Municipallity and Kwahu South District of the Eastern Region. 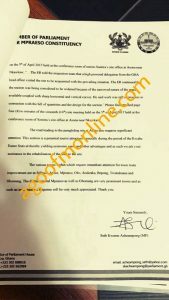 In a letter dated 2nd August, 2017, Hon Seth Acheampong also called on the Roads and Highway minister to factor in his plans the widening of a section of the road because of the narrowed nature of the space available coupled with sharp horizontal and vertical curves. 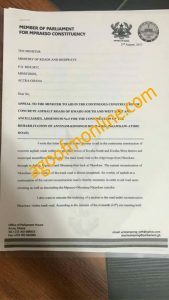 Hon Seth Acheampong drew the minister’s attention to some roads within his constituency which require significant attention. Among these roads is the road leading to the paragliding site at Atibie. 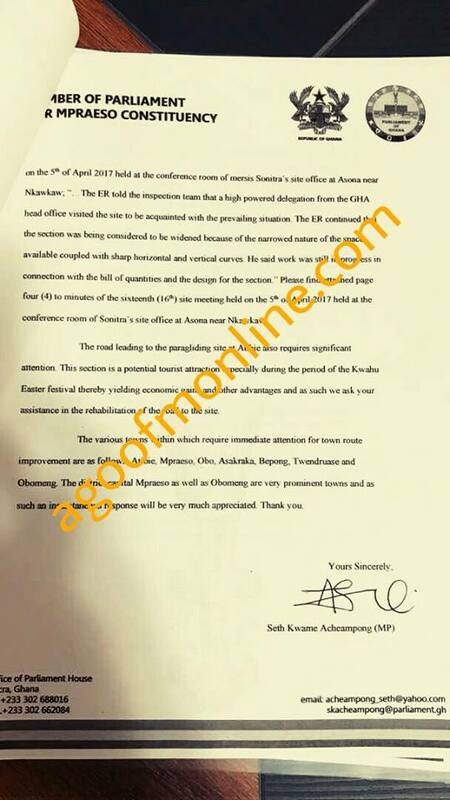 He said the road from Atibie town to the paragliding site needs urgent attention because of its potential tourist attraction especially during the Easter period. 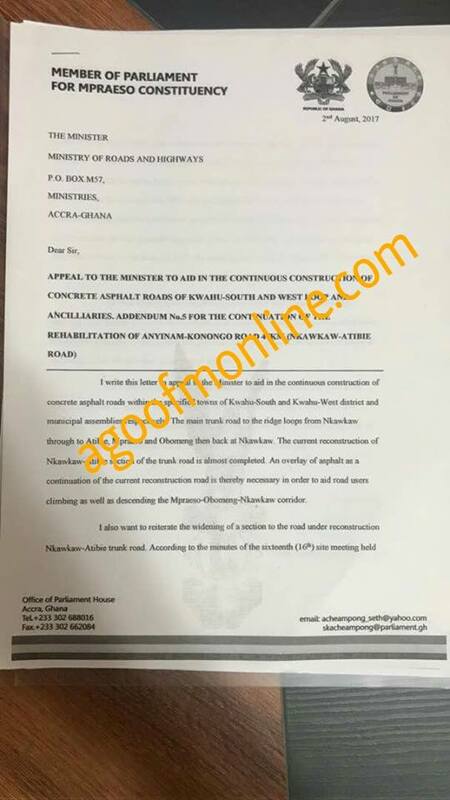 A copy of the letter was made available to Agoo fm, when the news team reached out to the MP to find out what his outfit was doing about a portion of Nkawkaw –Atibie road which is very narrow and the alleged threatening of the contractor to abandon the road if funds are not made available to him. 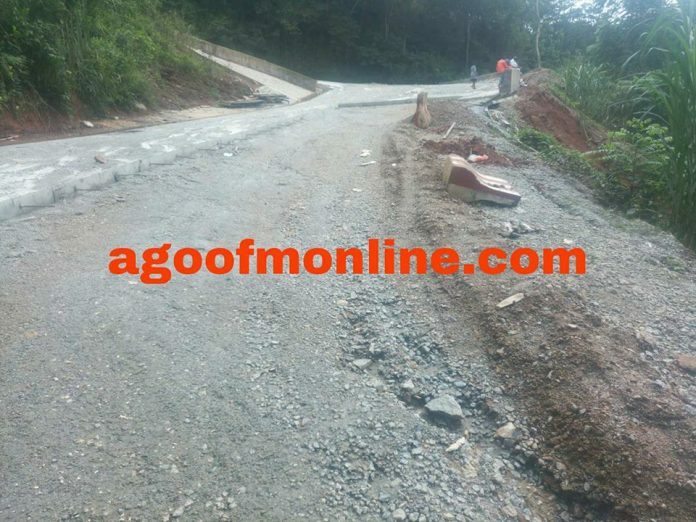 This follows an earlier publication by agoofmonline on September 11, 2017 “completion of Nkawkaw- Atibie road still lingers on due to lack of funds by government although there has been much improvement”.